As I watched El Grito de Dolores on TV last night, it got me thinking about my proudest moment as a fan of El Tri. My mind quickly went to the 2012 Olympic tournament. More specifically, the magical Gold medal game against Brasil. Arguably, the match signified the apex of Mexican soccer. It came at a time when Mexico was dominating CONCACAF and winning youth international tournaments. 2013 was not kind to El Tri and the program suffered a sharp decline that saw them nearly miss the World Cup. Fortunately, the epic collapse was not completed and the team recovered in time for a respectable showing at the World Cup. The 2012 Olympic tournament will always be remembered as a proud moment for Mexican fans everywhere. There are many countries and fans that dismiss the Olympic soccer tournament but Brasil is not one of those countries. As hard as it is to believe, they have never won a Gold for soccer. It is the only feather missing from their stuffed cap. Sure, they have a few Silver medals but the Gold eluded them. The fact the Olympics were coming there in 2016 added even more pressure for Brasil. As such, they were not messing around with their roster choice. They made it priority #1 to win the Gold. Mexico had never won any soccer medal at the Olympics. 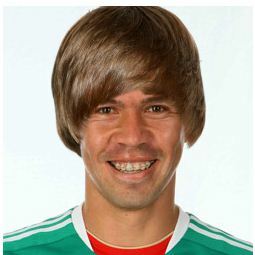 Mexico could not get a couple of their big guns to commit to the team. As it was basically a U-23 tournament, clubs were not forced to release their players. Chicharito was rumored to make the squad but after discussing with his club, it was decided to rest. It made sense, it was his first summer off in 3 years but many assumed our chances at a medal were done. Vela did not sign up either and still has not played for Mexico since. Will he ever come back? I think he will but no one knows. Despite missing these attackers, Mexico made the tournament a priority and set a goal of earning a medal. The team played plenty of warm up matches and helped them gel into a cohesive unit. Also, enabled the federation to pocket plenty of money. Some things never change. Spirits were running high and Mexico went into the tournament with the mindset of being on that medal stand. To the surprise of many, they advanced to the final against mighty Brasil. The game started off with a bang. I barely had a chance to even pop open a beer before Peralta scored the quickest goal in Olympic soccer history. The early goal definitely helped Mexican fans calm down but we all knew the game was far from over. Brasil was hungry and Neymar wanted to prove his status by bringing a Gold back home. It was a back and forth affair with Mexico’s defense continually frustrating Brasil‘s next superstar, Neymar. Mexico was in search of that elusive 2nd goal to provide a cushion. No one expected Brasil to be shut out and getting a 2nd go far in stealing the game. As the game went on, Mexico started to retreat to its own half. They were more worried about stopping a goal, rather than creating one. This meant a 2nd goal would have to come from an individual effort or a set piece. Marco Fabian tried his hand at adding to the lead. I remember jumping off my chair when Marco Fabian nearly gave us that cushion. Brasil were calling for a handball but Fabian kept playing and nearly had a goal for the ages. This chance was made possible by pure hustle. Notice how there are no other green jerseys in the frame. Fortunately, the 2nd goal was less than ten minutes away. Peralta capped off a great tournament w/another goal created by his movement. He turned many into Oribelievers, including me. It was not just his scoring but his overall game, doing all the little things for Mexico. This essentially clinched the game for Mexico but we all knew Brasil would throw everything forward to find an equalizer. The next 20 minutes would be quite intense with the Brasilian all out attack. After the Oscar miss, all that was left was to boot it up the field and wait for the whistle. Those next 30 seconds felt like minutes but the moment the whistle went off, I started running around freaking out. The victory, coupled with the youth success foolishly led me to believe the program was going to compete with the elites and stay there. While the program has recovered from its disastrous 2013, I don’t think it has reached the height it was that day in London. The Olympic team did provide a base for the 2014 WC team, with over half the group making it to Brasil. The future is still bright for Mexico. Now excuse me while I go scour the internet looking for one of the Special Edition kits from this tournament. Since the Official Olympic YouTube channel does not allow embedding their videos, below are the links.